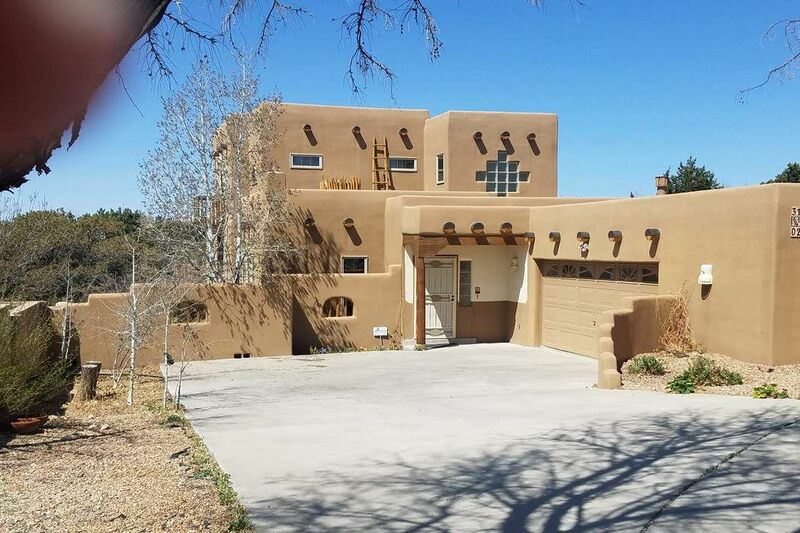 3102 Pueblo Hawikuh, Santa Fe, NM 87507 | Sotheby's International Realty, Inc.
$420,000 3 Bedrooms2 Full Baths2,084 sq. ft.
Privacy in Pueblos Del Sol. 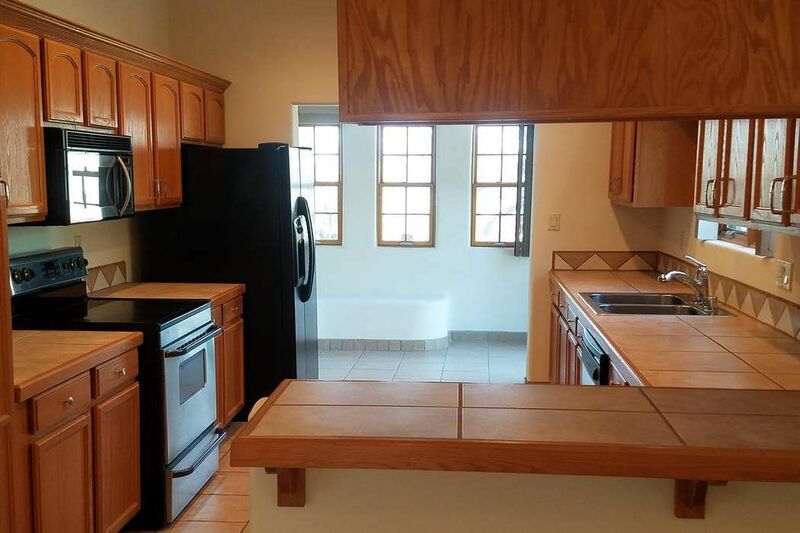 Located in a quiet cul-de-sac is this three bedroom, two bath in near new home condition. 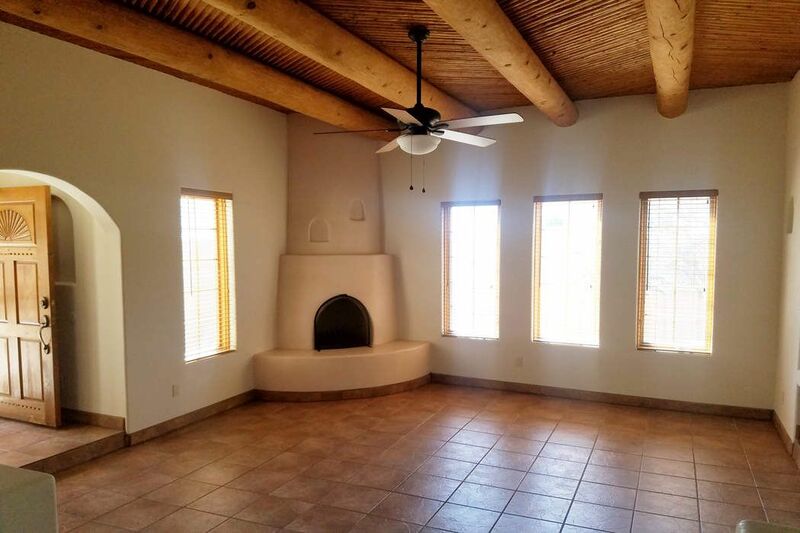 Vigas and latillas in the beautiful living room with kiva fireplace makes for relaxing area. 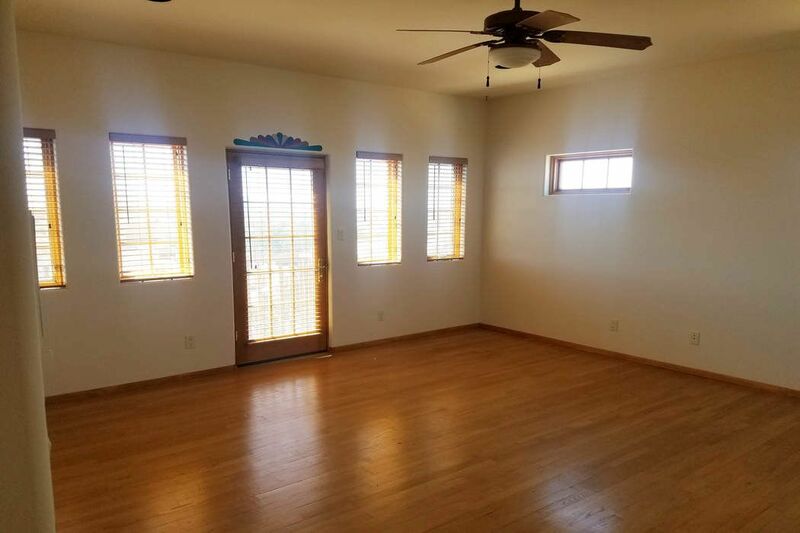 Dining room and large kitchen with breakfast room that exits to the outside patio makes for open entertaining. 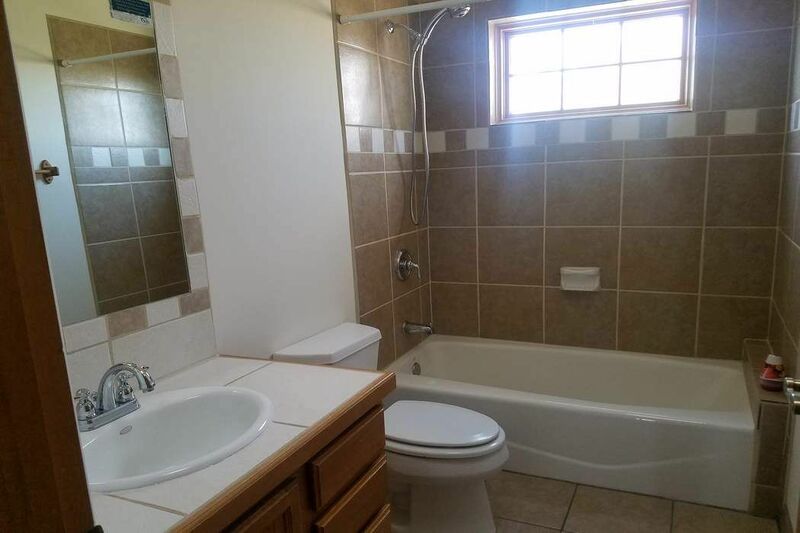 Two bedrooms and bath make up the first floor. 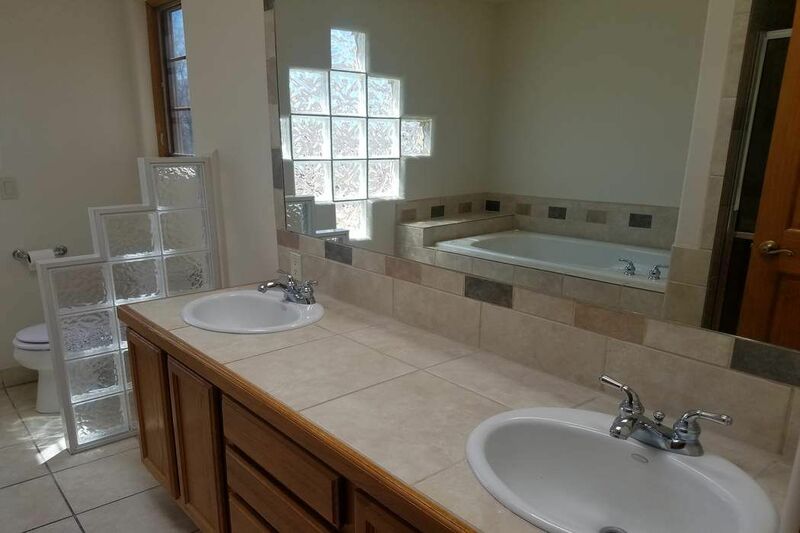 The entire upper level make up the lovely master suite with viewing deck, walk in closet and ample bath area with jetted tub. 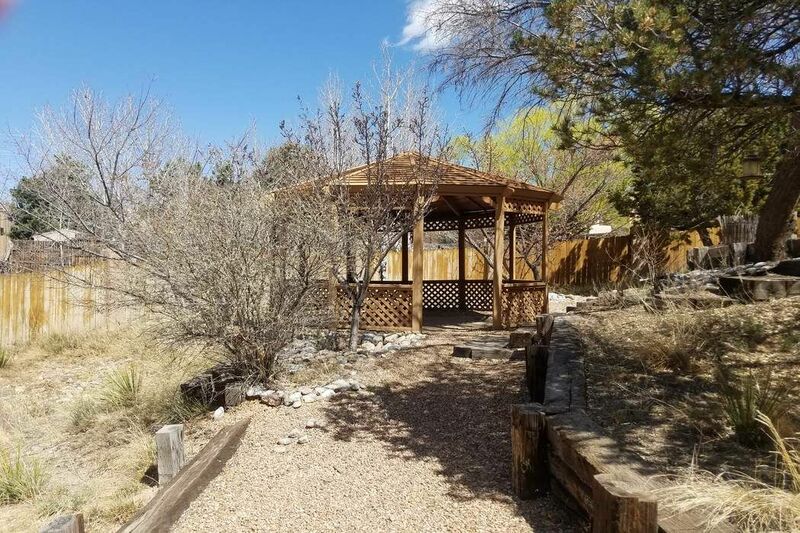 Outside you have a private setting with mature landscaping ad your own fruit trees. Large gazebo and storage building are an added bonus. The attached over-sized garage has that extra space for studio or workout room. Don' miss this opportunity.